Last year, I skipped the BET Hip-Hop Awards and my phone nearly vibrated into oblivion due to all the texts and tweets raving about the show I missed. Who would have known it would be the last time we’d see Heavy D? This year, I made sure to set aside time on my busy schedule (of watch wrestling and eating Lemonheads) to check out what was sure to be a great show. And I was led astray by my friends. Before we get into things, a disclaimer – this review will be the usual 20 Questions recap. Click here for a report card of the BET Cyphers, AKA the most entertaining part of this trainwreck. 2. Host Mike Epps’ Obama impersonation was painfully unfunny but his operatic take on hip-hop was a bit better, especially his dig at Stevie J. WHY has Stevie “Fievel Goes West” J become a star again? 3. Reese’s candy is sponsoring the Hip Hop Awards? And y’all say I have a problem with Sour Patch Kids…. 4. What on earth was 2 Chainz wearing? It looked liked he skinned Nicki Minaj. 5. Good lord (literally), why were people in the audience clasping their hands and looking to the heavens during Meek Mill’s blasphemous “Amen” song? I expected lighting bolts. 6. On another note, why does Mill CONSTANTLY SCREAM like he’s yelling into the drive-thru speaker at McDonald’s? 7. I thought MC Lyte was the de-facto announcer for these shows. Who decided it was a good idea to replace her with Trina? Trina sounded like she was reading bingo numbers at the American Legion. 9. Did Announcer Trina really say “The moment we’ve been waiting for” is 2 Chainz’s performance? 10. 2 Chainz pranced around like a broken puppet, looking like the son of Milli Vanilli and Ms. Celie. Is this the savior of hip hop? Excuse me … I need a moment to pray. Somebody call Minister Meek Mill. 11. The commercial for Keyshia Cole’s reality show was kinda sad. It looks so forced. Why can’t she even swing in the park convincingly? 12. Do y’all still care about T.I.? Lord his jacket was so tight it looked like it was sweating on the outside. 13. Hey, the Young Money crew made it to the show after all! Oh wait, wrong mutants. Why on earth were the Ninja Turtles there? Who knows – at this point I was getting ready for bed. I have to work in the morning, people. 14. Y’all still giving my boy Keith Sweat grief? Anyone who calls Keith Sweat whiny has never heard Future mumble his way through a performance. He got out-rapped by Diddy! 15. I know I have a reputation of being a hip-hop snob, but you wanna know what song gets me SUPER HYPE? French Montana’s “Pop That!” I could do without his boxer robe and billions of gold chains, though. He looked like Mumm-Ra. 16. Ugh, you KNOW we couldn’t go an entire show without seeing Rick Rawse jiggle his way on stage. “These Negroes can’t hold my fat! These Negroes can’t hold my fat!” For the love of the kids, man, put a shirt on. His mammaries should be reserved for Cinemax. And why was Omarion so hyped to be back on TV? With Rawse rocking his furry Eartha Kitt mink they were the hip hop Timon and Pumbaa. Hip hop, you’re killing me softly. 17. Didn’t you love the history lesson on Rakim before he received his “I Am Hip Hop” award? Sadly, I can’t name too many people from this generation of rappers who will have a fraction of the impact that the R had. 18. But wasn’t it sad when Rakim shouted out Red Alert and the camera didn’t know who to show? BET, we need to do better. 19. As lame as the initial hour and 45 minutes were, did the Chris Lighty Violator tribute make up for it? No doubt. 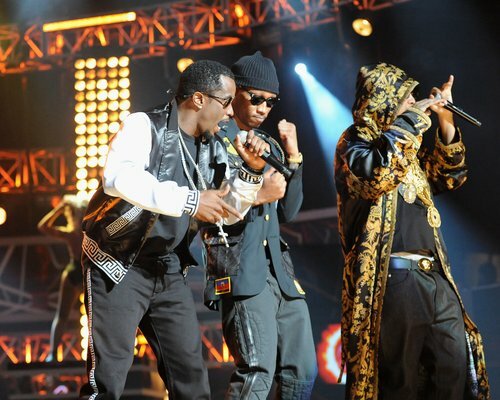 Fat Joe, 50 Cent, Busta Rhymes (wearing Cobra Commander’s jacket) and Q-Tip save the showed. And when my girl Missy Elliott hit the stage I was kicking the couch like Rick James! Great tribute. 20. Will I listen to y’all next time you tell me to watch an award show? Sorry, playas. 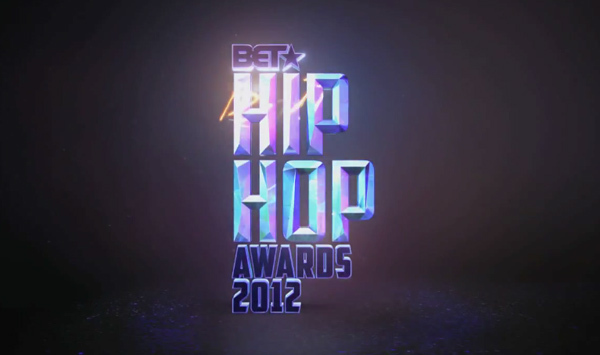 Bonus question: Want a rundown of the 2012 BET Hip Hop Cyphers? Click here.